Watch-instruments designed to deliver optimal readability, the new BR03-92 Horograph and the BR03-92 Horolum come with the typical Bell & Ross "circle within a square" case, reminiscent of the clocks in aircraft cockpits. 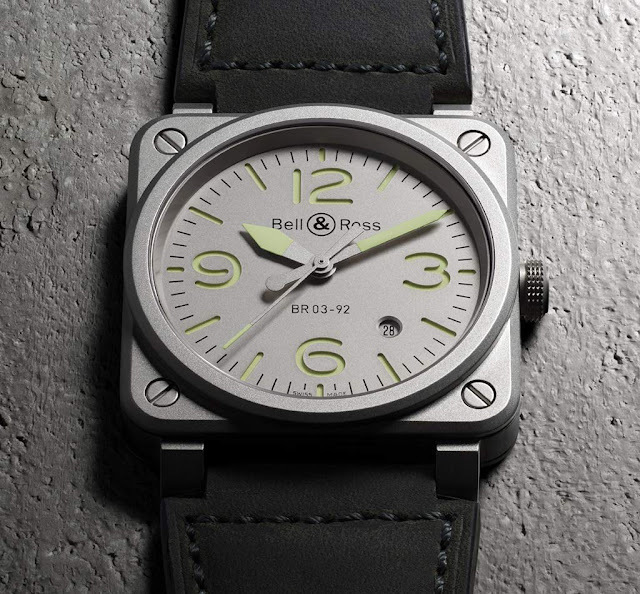 The simple lines of these watches underline the essential and their functions. 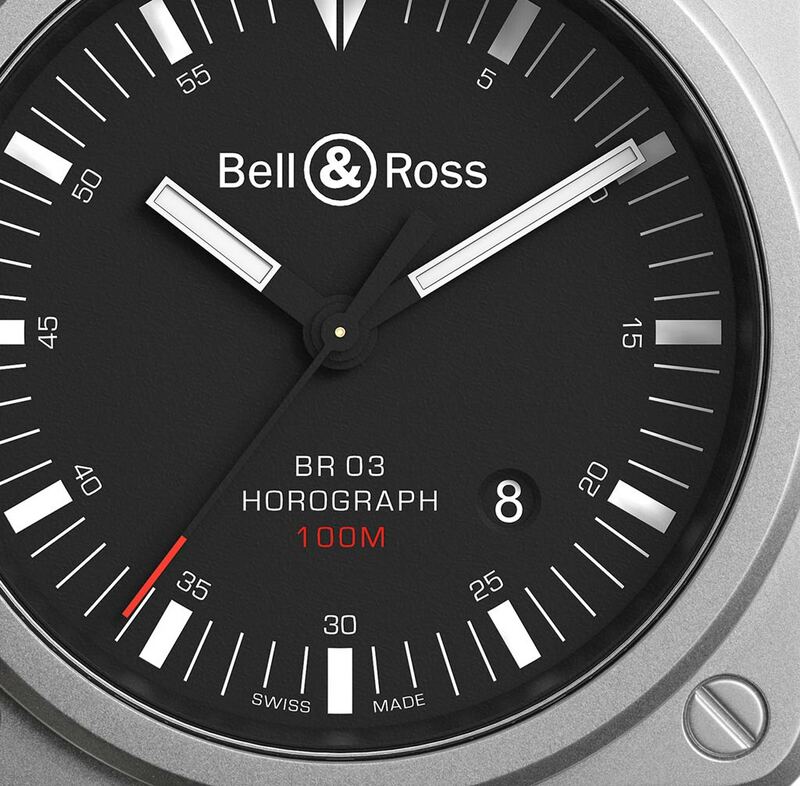 Their names are composed of the common root "Horo", from the Latin "Hora" (hour), followed by "Graph" (graphics) or "Lum" from the Latin "Lumen" (light). 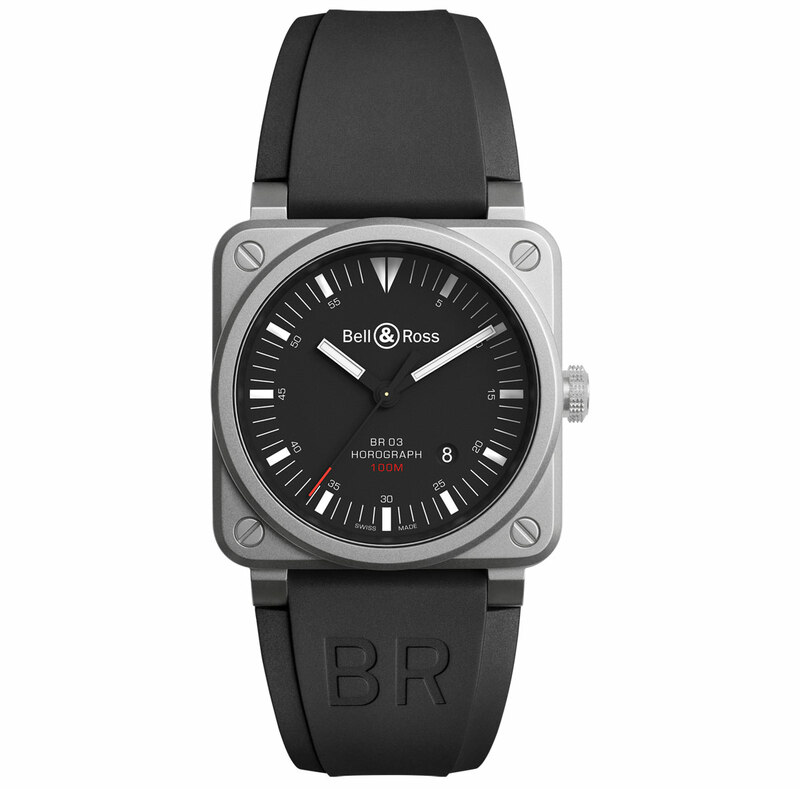 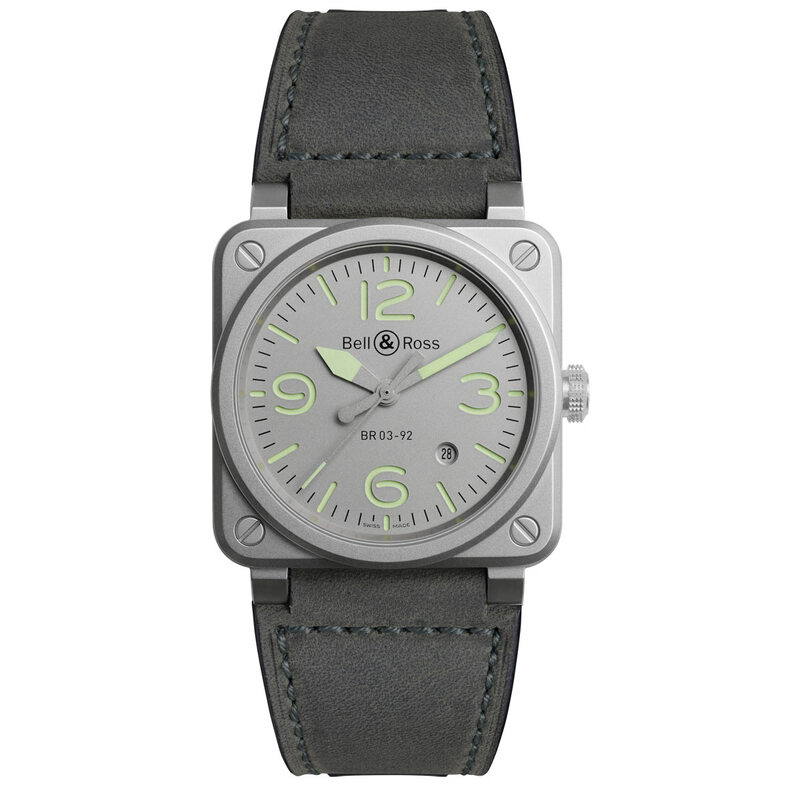 The BR03-92 Horograph features a graphic dial with clear digits reminding the clocks in airport terminals. Indices and hands are covered with Super-LumiNova in contrast with the matt black dial. The 42 mm bead blasted steel case can be matched to black rubber or black synthetic fabric straps. 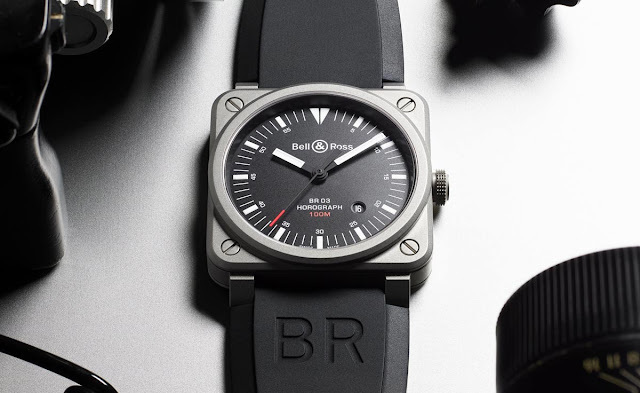 The BR03-92 Horolum reproduces the codes of lighting in the runway, used to guide pilots, with a dial featuring two overlapping inserts: a grey upper plate, cut away around the numerals and indexes, which reveals the Super-Luminova C3 coating covering the lower plate. The hands are also treated with Super-Luminova C3.